We’re going retro dancing this week. Come with us to Dallas Texas to meet the incredible Pistolettes! This vintage loving troupe of go-go dancers are sure to entertain and have some incredible insights into the vintage scene in Dallas. 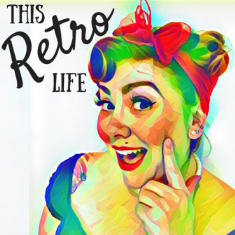 We are sharing some fun loving 1960’s vibes on the podcast this week. Before you hit play you need your dancing shoes, a bottle of water and 100% energy. We are going Go-Go Dancing with Lucy Watusi, one of the members of the Beehive Go-Go Dancers. This week we are off to Berlin to meet an Australian who is ingrained in the German cities burlesque scene. It was a first date that saw La Viola Vixen first experience the art of burlesque.